The duel-strength bungee segment (measuring 3ft and stretching up to 51"), is essential for preventing sudden restraint on the dog's neck and body while playing or chasing squirrels, whether on an aerial dog run or tie out. The bungee segment is durable and multi-functional, featuring heavy-duty hardware and durable, natural rubber bungee segments. 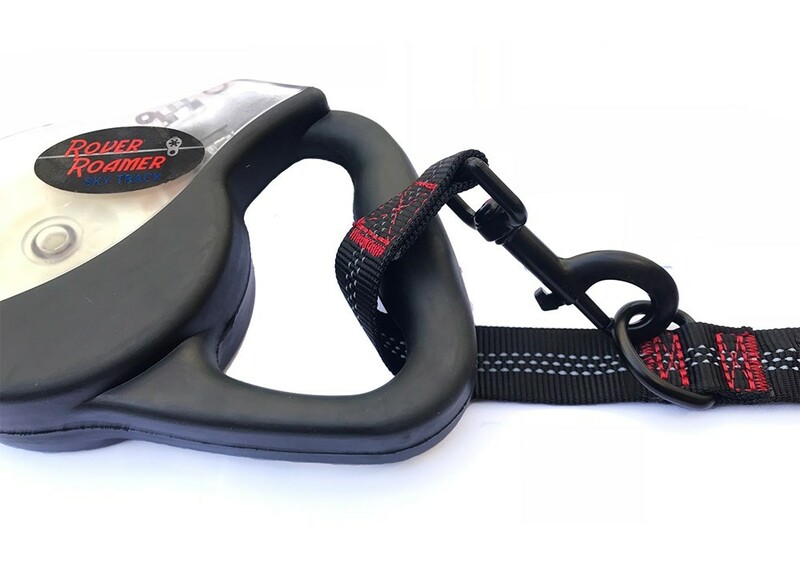 Included with each Sky Track, this bungee segment along with any leash, whether standard or retractable, makes up the total vertical distance between the aerial line and the ground, which translates into the lateral movement that your dog enjoys while on the Sky Track. 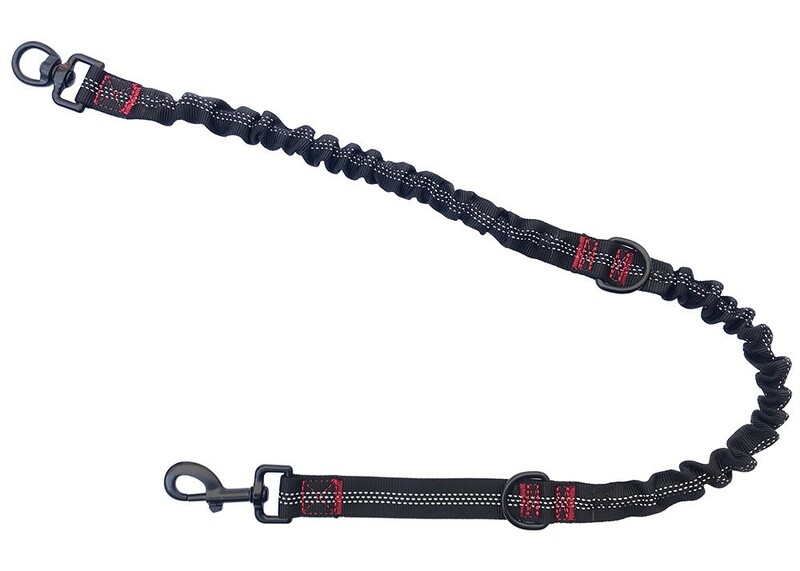 The 5mm bungee section is perfect for small dogs, whereas the 8mm section is designed to give large dogs a comfortable but restrictive stretch. The two work in combination to vary the degree of stretch depending upon the speed, energy, and size of your dog. The swivel O-ring attaches to the carabiner of the Sky Track while the clip end attaches to any leash handle either directly or by looping into the handle and clipping onto the first D-ring. This is especially useful for attaching onto leather or retractable leash handles when clipping is not an option. The center D-ring allows for further length adjustments. 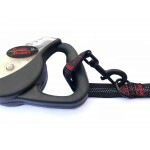 Benifical as an attachment to any standard leash or retractable while simply walking the dog, the bungee segment becomes essential on any static system where the dog has full range to run. Once you have set up the line and have placed the pulley and carabiner on the line, attach the swivel O-ring of the bungee segment to the carabiner so that the clip is hanging downward. Attach your leash or retractable to the clip end either directly or by looping the bungee segment through the handle and clipping onto the first D-ring.